Works as Senior Counselling Psychologist at First Psychology Centre, Edinburgh. George Reid is an experienced senior counselling psychologist who is chartered by the British Psychological Society (BPS) and registered with the Health and Care Professions Council (HCPC). He works with individuals (age 15+), couples and families. George has experience working with clients with a wide range of issues including depression/low mood; anxiety and related issues; trauma; relationship issues; low self-esteem; workplace stress and burnout; life transition issues; sexuality issues; bereavement; insomnia; and workplace bullying. His specific interests are burnout and occupational stress; workplace bullying; anxiety and depressive disorders; post-traumatic stress as a result of trauma and abuse; conflict resolution relationship difficulties; career transition and sexuality issues. George also offers life coaching to individuals wishing to overcome obstacles to achieve a specific goal. George integrates a number of approaches into his counselling work depending on the needs and wishes of each individual. The approaches he uses include: cognitive behaviour therapy (CBT), psychodynamic counselling, eye movement desensitisation and reprocessing (EMDR), DBT-informed therapy, self-compassion meditation and solution-focused therapies. George is a chartered psychologist and a Scots lawyer. He began his career as a lawyer in Scotland, practising for 11 years in the areas of family and child law, immigration and refugee law, child protection law (former Reporter to the Children's Panel), employment, social justice law and housing law. He has represented hundreds of vulnerable clients in courts and tribunals. Many of his clients were highly traumatised following abuse and persecution and this led to his interest in psychology and to him deciding to train as a psychologist. George undertook his psychological training at McGill University in Montreal, Canada and spent over five years working in a private psychology practice in Montreal with two of his former McGill psychology professors. Their areas of interest were wide, although they had a particular interest in assisting clients overcome trauma and trauma-related symptoms following abuse. George is currently conducting research in the area of workplace bullying in conjunction with his doctoral studies in counselling psychology at Glasgow Caledonian University. 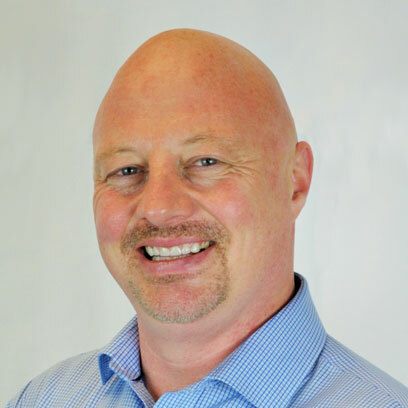 George's psychological training and qualifications include: a Counselling Psychology (MA), a Doctoral degree in Counselling Psychology (DPsych; ongoing), EMDR clinical training, family mediation training, and psychological harassment in the workplace training. In addition he also has a Bachelor of Laws (LL.B) and a Postgraduate Diploma in Legal Practice (D.L.P). George is an Associate Fellow of the British Psychological Society. In addition, George is a member of the Law Society of Scotland and licensed by the Order of Psychologists of Quebec. George speaks fluent French and is happy to work with clients who feel more comfortable working in this language. George charges £90 per session for self-funding clients. He also works with clients referred via their employer/organisation – for further details, please visit First Psychology Assistance.